Twilight Pest Control is a local family pest control company working across the Derbyshire and Staffordshire areas. With many years of experience working in pest control, so you can be assured you’ll get the professional and effective service. Cliff of Twilight Pest Control has decades of experience in providing pest control services for domestic, commercial and agricultural clients. Accompanied by his wife Kathryn, they work locally to ensures that they can respond quickly to emergencies and commercial customers. Twilight pest control are experts and can help you get rid of many common pest issues such as; Rats, Mice, Moles, Fleas, Cockroaches, Bees, Wasps, Birds and many more pests. We are never too far away from you and if requested can be there within a few hours of your call. As a professional company we ensure we keep up to date with the latest changes, products and techniques to ensure we have the knowledge and expertise to help effectively tackle your pest problem. Twilight Pest Control are a full member of the British Pest Control Association, which means we are regularly checked and audited to ensure we continue to meet the highest of standards and deliver an excellent pest control service. 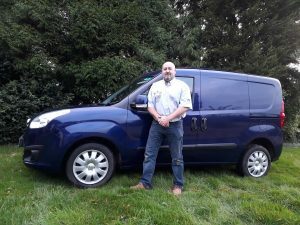 To become a BPCA member, all of our pest control technicians are expertly qualified, fully insured and hold the British Pest Control Association (BPCA)/ Royal Society of Public Health (RSPH) Level 2 Certificate in Pest Management, so you can be assured you’re getting an expert and trusted service.